This year is all about space for Lissie. The singer-songwriter is on the verge of releasing her latest album, When I'm Alone: The Piano Retrospective, and her entire approach from the recording to the release to the resulting support and touring is all wrapped up in this idea of space. It's about to breathe, both vocally on a lovely, sparse recording and as an artist committed to health and organically following the muse. 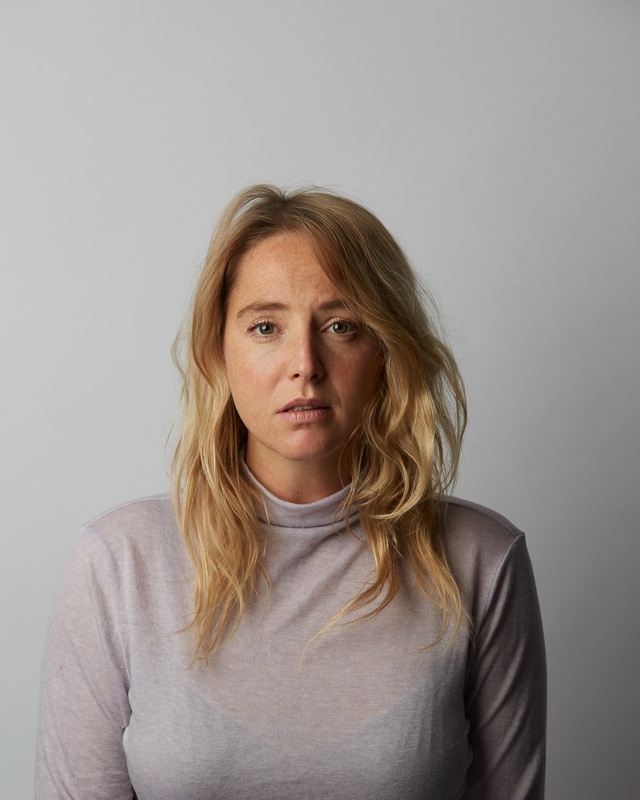 Lissie's new album is a proper wrap on her first decade as a full-time musician, a re-recording of several longtime favorites such as the title track, "In Sleep," and "Don't You Give Up on Me." It not only breathes new life into the songs but into the artist herself. Lissie has never sounded better than she does on these 11 songs, with newfound space to fill with such a stellar vocal. We recently sat down to chat with Lissie about this stage of her career and the reason for the retrospective. The new album is lovely and the ability for your vocal work to shine like it does made me think that it was likely just a lot of fun in the studio to let go like that, for lack of a better word. Did it feel that way for you? Yeah, it was fun because it was natural. I don't want to use the word "easy" necessarily, because it sounds like I was being lazy. But it didn't take very long to record this album. I've spent so much time strengthening the muscle that is my vocal cords, so it was nice to know my voice feels so strong and powerful after all these years of practice and to take all of the questions about production. Of course, we had to think about the arrangements with the two different piano players I worked with and Martin Craft, who produced it, who I think made a lot of great questions. There was a lot of thought that went into it, but at the end of the day, there weren't a lot of complications. I got to show up and do what I do best, which is sing. That was about it, and that was really refreshing. It was nice to feel like I could simplify my life for the time being by getting it back to what it's all about for me, which is my voice and work. As I think about whatever I do next, so much of the music business isn't about the music. Even touring with a band is a lot of logistics and scrambling and planning—everything gets so much bigger than you. It was nice to feel like I could simplify my life for the time being by getting it back to what it's all about for me, which is my voice and work. Everything just flowed naturally from that point. Had you strayed far from that? No, I hadn't, and I don't want to complain at all. Just this morning I was thinking how lucky I am to get to actually have a career in music in these uncertain times—not only in the music industry but just in the world and this current political climate. There are people who are suffering all around the world. I have days that I complain and feel sorry for myself, but this morning I had this huge burst of gratitude of not losing sight of how fortunate I feel that I get to make music for a living. I get to create my own path for my own life. I never want to take that for granted. But there are times through the years where, especially since becoming an independent artist, there's a lot of budgeting and logistics of tours and scheduling. The business can start to feel like it's taking over the joy of making music. It's nice when those are sitting together in a really healthy balance, it's really empowering. So I wouldn't say anything got really bad or anything, but it was just the idea of giving my voice a little bit of space and simplifying the way that I tour and planning tours in a way that I can incorporate friends and family and sightseeing. It's not just always bottom line stuff. It's life and work happening in a healthy balance together. What's the impetus for this project? I was over in London and Norway last March before Castles came out doing these little promo showcases for industry people. I'd gone over there by myself and, for this particular promotional week of showcases, this piano player that I play with, Jo [Dudderidge], in the U.K. who also played on this new album, he and I were doing this piano vocal thing. They were purely this short little four-or-five song showcase/meet-and-greet things I was doing to promote Castles. It was the first time I'd put down the guitar to just sing with the piano. Jo is also a wonderful, funny, talented person who I have a good time with and I really enjoyed it. I also realized my voice was connecting in a way that it doesn't always have a chance to, if I have to compete with drums or guitar and melody lines. I love all of that, too, but it was refreshing to have nothing covering up my notes. I can hold things out or experiment if I wanted. I was really free and raw and connected. So because I'd had that experience doing the promo, I said to Jo and Martin, who produced it, "I kind of want to re-record all of my songs with just piano and vocals." As we said, "Hey, let's go for it," I realized I wanted to whittle it down to a select group of songs. Maybe someday I'll do this for the rest of my songs, but we narrowed it down to an album's worth of songs and just went for it. It was like, "Hey, let's try this and we did." Maybe some people will think it's boring or wonder if I'm retiring or something. [Laughs] But you know, I don't really care what other people think. I did what I felt inspired to do. Were you surprised by your relationship to a particular song as you changed those arrangements? One of the songs I didn't even think would work is one I call a middle-of-the-road song since it doesn't have too much dynamic to it is called "Sleepwalking," which was on my album Back to Forever. I feel like that one... I didn't even know it could work so well in that piano ballad setting. So I was discovering new feelings I had about these old songs by turning them into this completely different arrangement or vibe. And even "When I'm Alone," that song is the one that came out first that did really well. I'm so grateful for that song and all that it led to, so to be able to sing that song as a ballad and not as a bouncy, fun pop song gives me greater respect for the song. I have so much gratitude for it. You have a Fleetwood Mac cover on the new album with "Dreams" and you've had great success with your cover of "Go Your Own Way" years ago. Is it safe to assume you grew up on the band? The funny thing is that, of course, in high school I loved classic rock. In high school, I went and bought Rumours and a Janis Joplin album. I also think I bought a Garth Brooks album and something by the Dixie Chicks. [Laughs] I had this country/classic rock collection of CDs for my new life as a driver. So for sure, I liked Fleetwood Mac. Every vocalist adores Stevie Nicks. But I also can't say that they were hugely influential. Yet as I started putting out albums, I got a lot of comparisons to Stevie Nicks and Fleetwood Mac, which I was flattered by but didn't think I was worthy of that. But they'd give me those comparisons and I'd say, "That's so cool. Thank you!" The idea of covering "Dreams," I was worried it was too on the nose to cover that song. It feels a bit sacrilegious, but everyone encouraged me to go through with it. I don't want to over-exaggerate my Fleetwood Mac inspiration, but I definitely respect and admire their work and love Stevie Nicks.